So when we say Physicians’ Surgery Center of Longview, is “State of the Art”, what do we really mean? Physicians’ Surgery Center of Longview has been designed from the ground up specifically for ambulatory surgery. We did not try to fit our facility into an existing space – we built it specifically for this purpose. 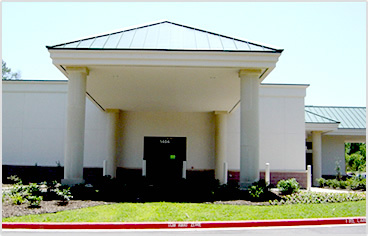 Housed in a newly constructed 10, 880 square foot dedicated building in 2004. 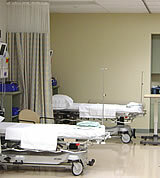 Three treatment rooms equipped for Endoscopy and Pain Management procedures. The latest sterilizing equipment from Steris provides the highest quality options available today. Fully wheelchair and handicap accessible facilities. Front entrance and side exit porticos for weather protected patient access. The waiting room provides enhanced comfort with ergonomic chairs, reading materials, televisions and a coffee room . Complete environmental monitoring of heat, light, power and plumbing systems. The Advantx Surgery Center Software -Management System provides a fully integrated scheduling, billing, material management and physician credentialing systems.